Every Year Ms Turtle gives a lift to the Overall Mr GSO...This year put her to task with Heavyweight Akmir Carter, still he got a leg up to the PRO's. 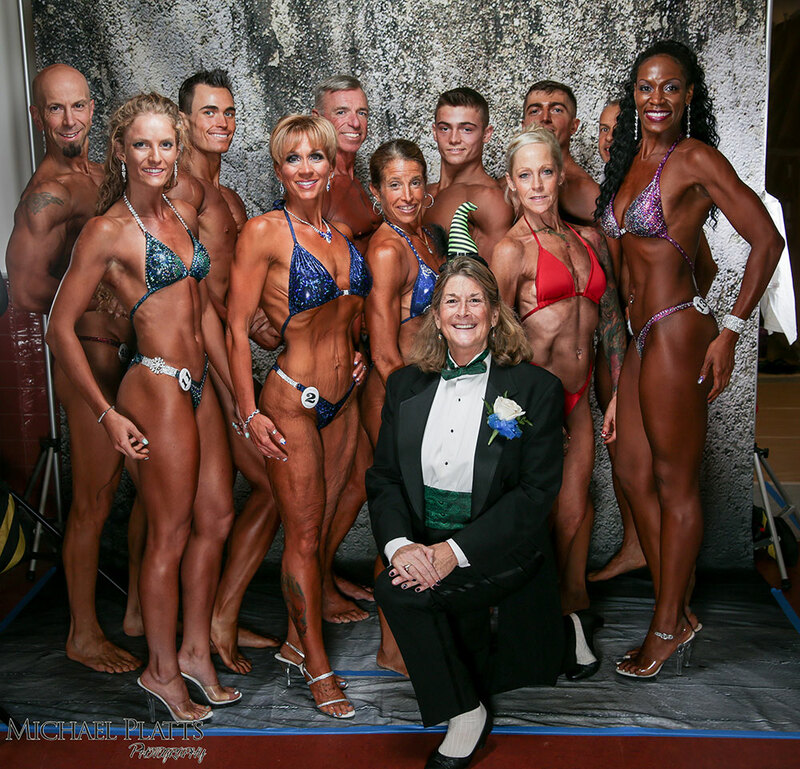 Custom posing classes for individuals and small groups, all divisions. Laura J. Tourtellot started lifting weights for bodybuilding in 1981, and has never stopped. Using resistance training to successfully compete throughout New England for ten years, then becoming a Regional Head Judge, National Judge and Official, she learned the ins and outs of competition. It all culminated in 1991 when she took over the "New Hampshire's", a bodybuilding show with a history of origin in the late 60's. She has vigilently produced the "GSO" as New Hampshire's Premeier Bodybulding Event, adding Figure and Bikini Divisions, and adapting to the evolution of Natural organizations in the industry. Currently allied with the INBF/WNBF Tourtellot's show remains open to athletes of all levels and affiliations. "Turtle" has also been a personal trainer since 1987; she now specializes in contest preparation for newcomers to the PRO. You are welcome to call for a courtesy Q&A.